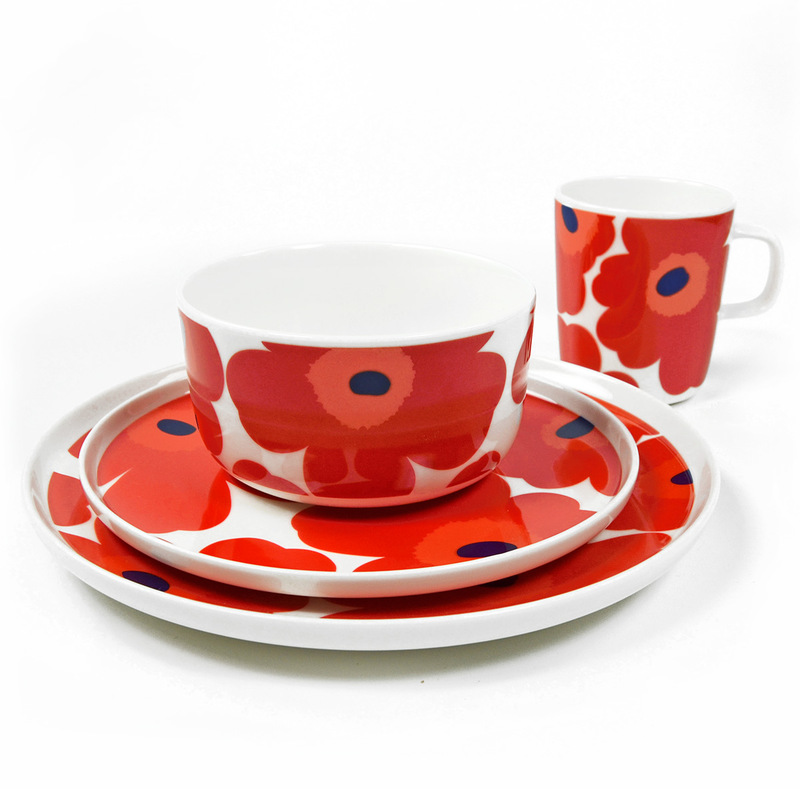 More about Marimekko Unikko Red 4pc Dinnerware Set Maija Isola's famous red Unikko flowers adorn the classic Marimekko Oiva dinnerware for a fun yet timeless set. 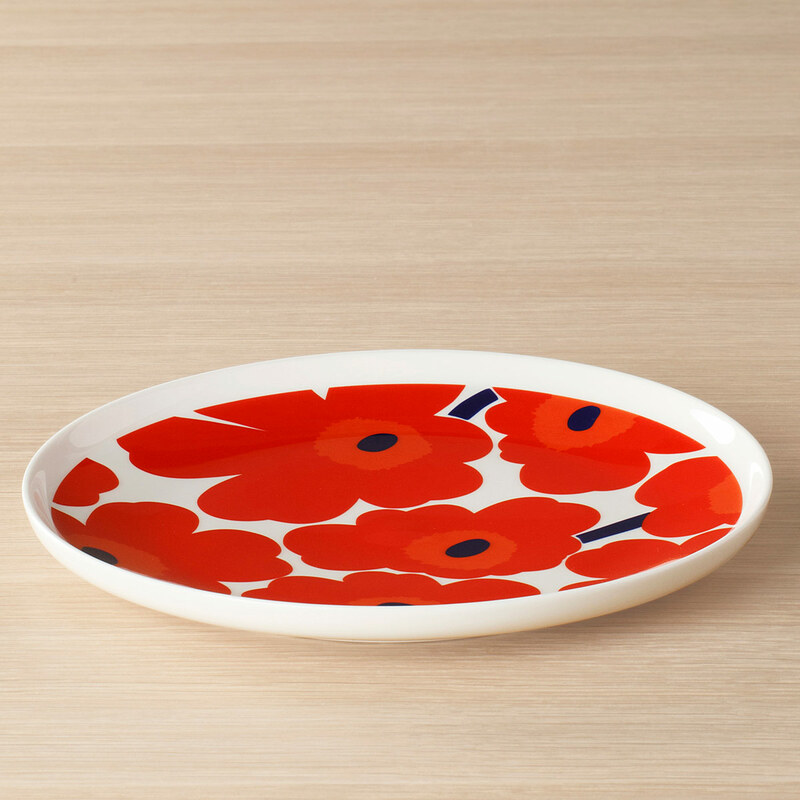 The poppy pattern was designed in 1964 and continues to serve as a beloved symbol of modern, Finnish design today. 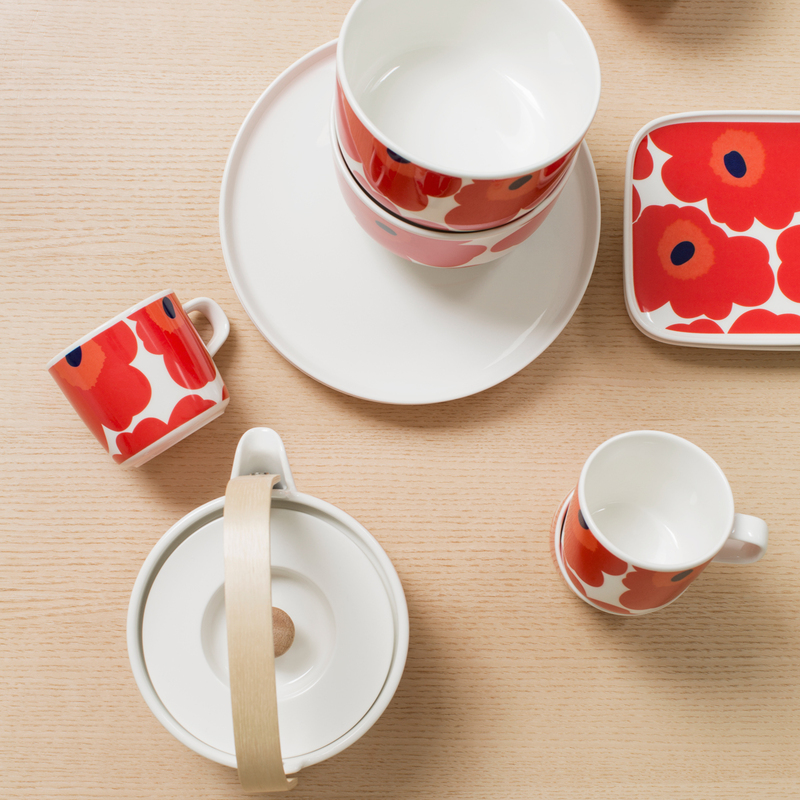 Made from white stoneware, this four-piece set with serve your needs at the table everyday and for special occasions, as it is microwave, oven, freezer, and dishwasher safe.